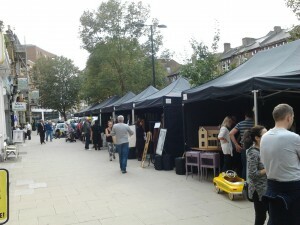 Dramatic black gazebos lined the pavement in The Avenue for the launch of this new monthly antique and vintage market. 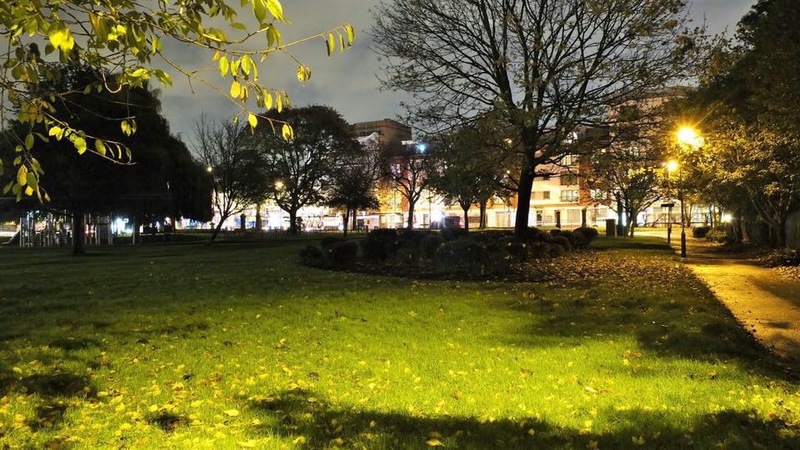 The newly-established West Ealing Business Improvement District is behind this initiative and is part of its efforts to attract more shoppers to West Ealing. The market looked pretty busy mid-afternoon when I was there. Market Manager Barry Tuffnell said: “The Avenue” in West Ealing saw the first Vintage and Antique Market launch in style on Saturday 27 September. The feedback from both dealers and market go-ers was incredibly positive. The aim is to build on the numbers of stalls each month – so there is definitely a reason to return month on month and see what you can pick up. The next dates are Saturday 25 October and Saturday 29 November, with a special Christmas fair on Saturday 13 December. For further information: Twitter @Westealingbid. Facebook: The Avenue and Antique Market or email info@westealingbid.co.uk [Market manager: Barrie Tuffnell 07976704366]. Popped into the Antiques Market last month and vintage sale at The Pub on Saturday. Both terrific additions to the Ealing “2nd-hand style scene!” Looking forward to more please. Need convincing when it comes to the pleasures of pre-owned? Check out the Huntress London blog. This Saturday is the next Avenue Vintage and Antique Fair . Come along to The Avenue from 9.00 am – 5.00 pm. Last month was a great success. Look forward to seeing you there. Barrie Tuffnell Market Manager.